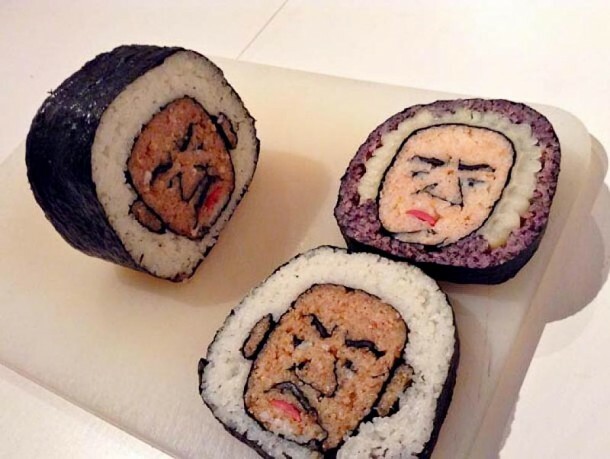 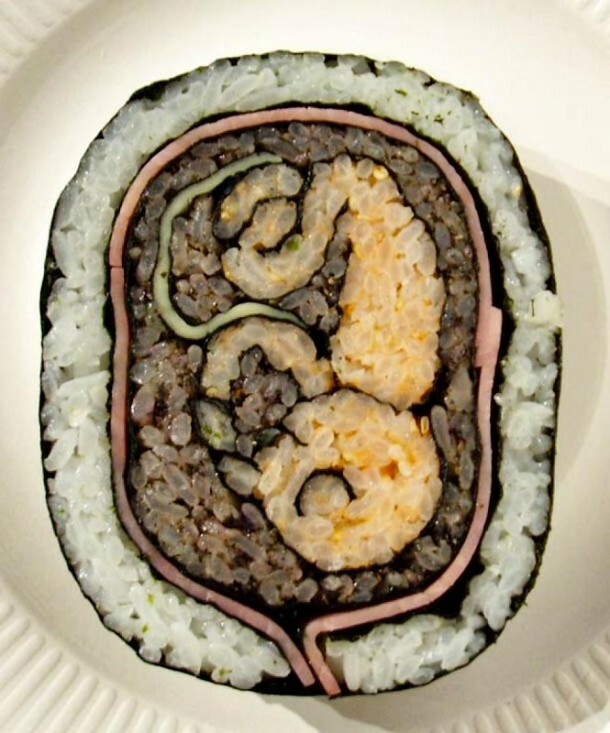 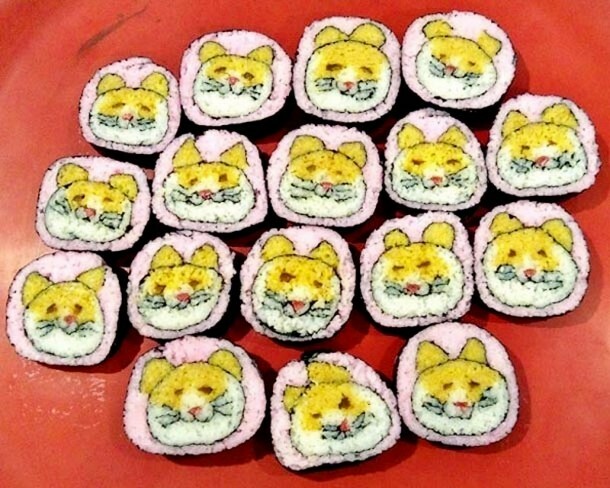 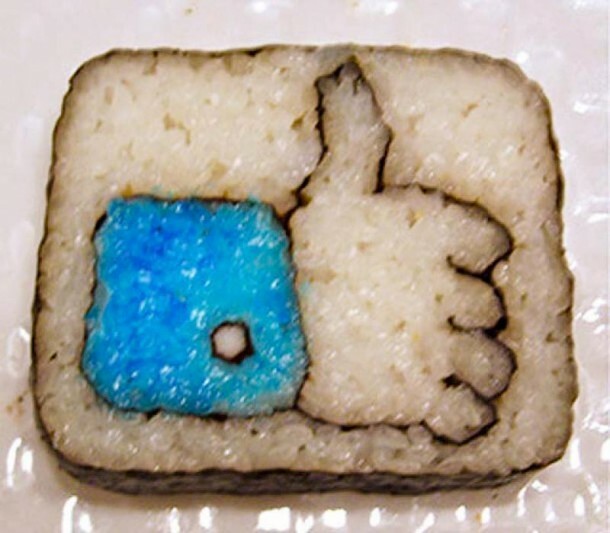 You like sushi??? 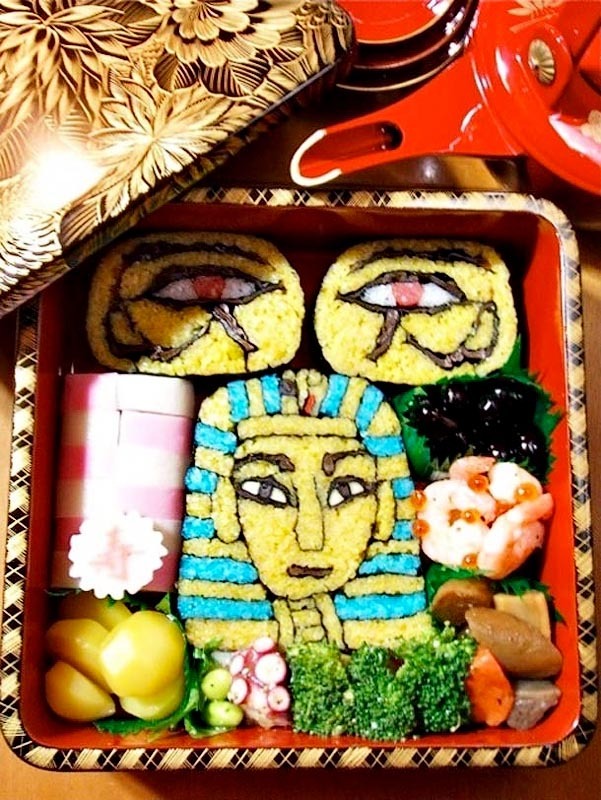 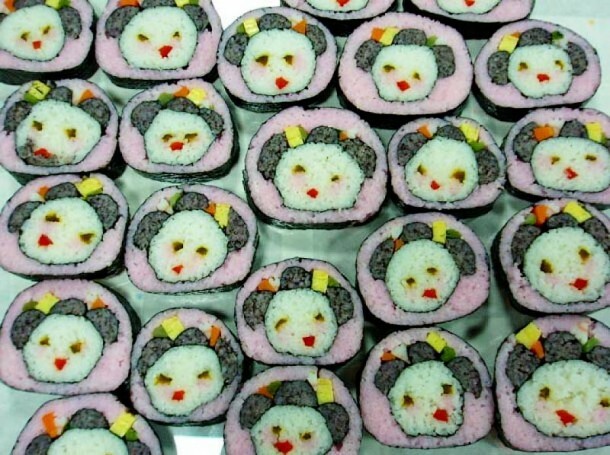 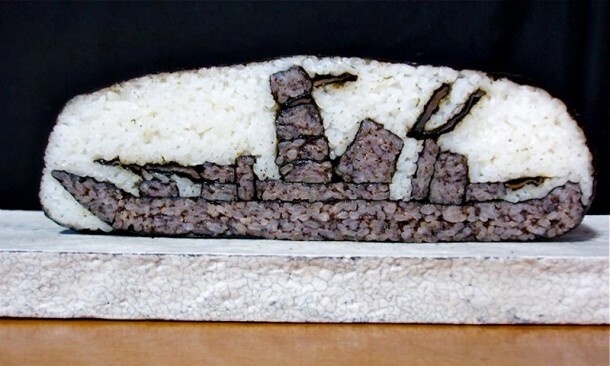 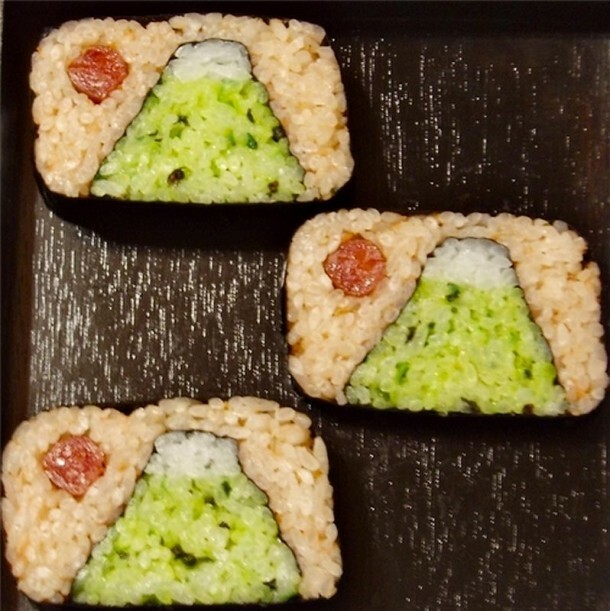 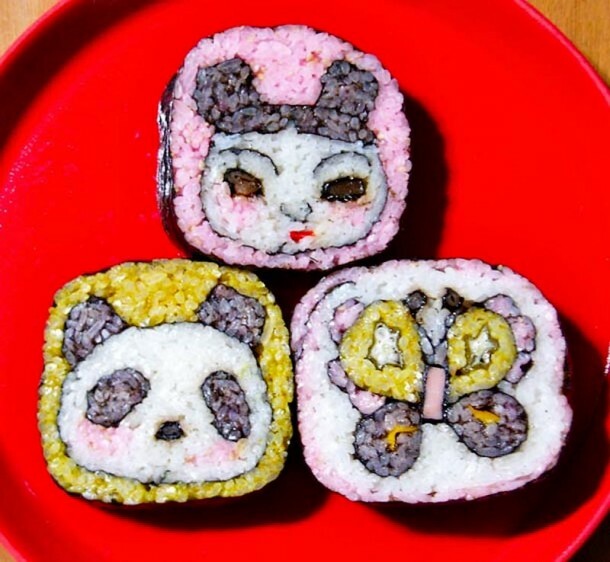 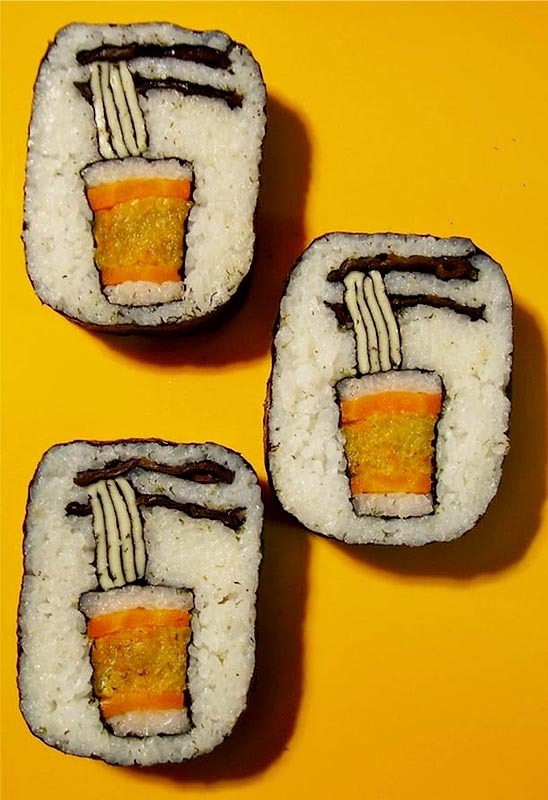 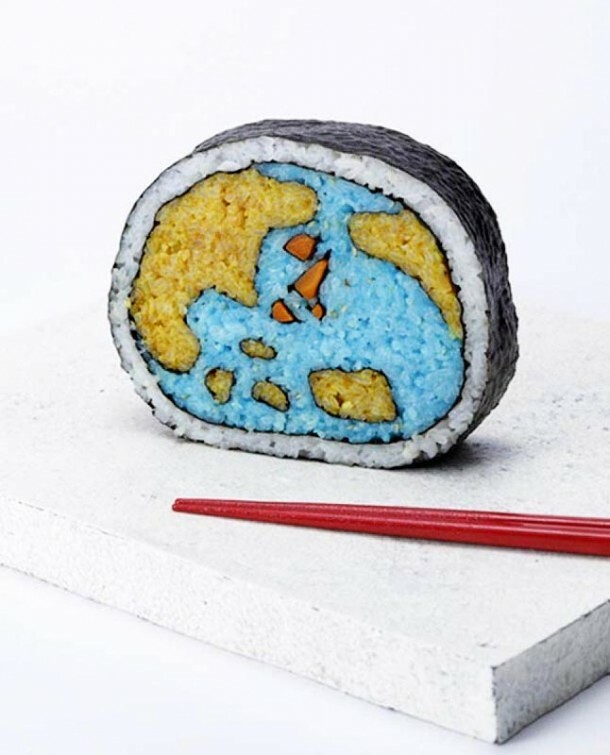 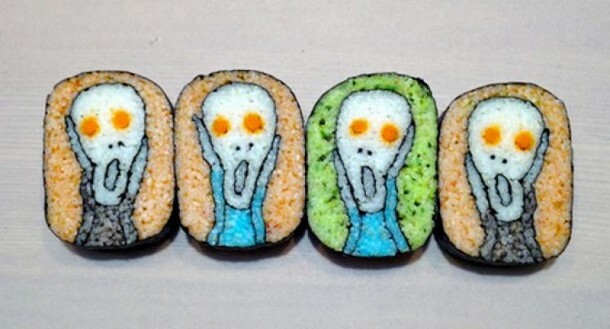 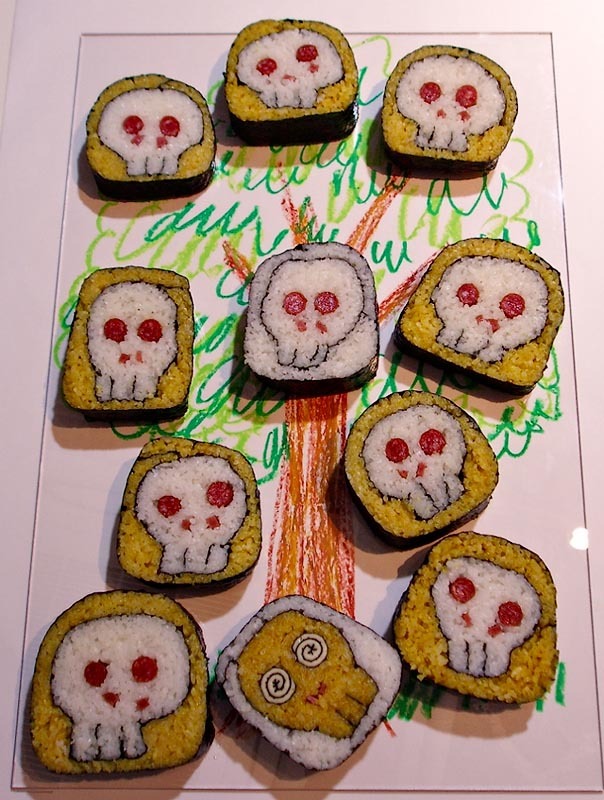 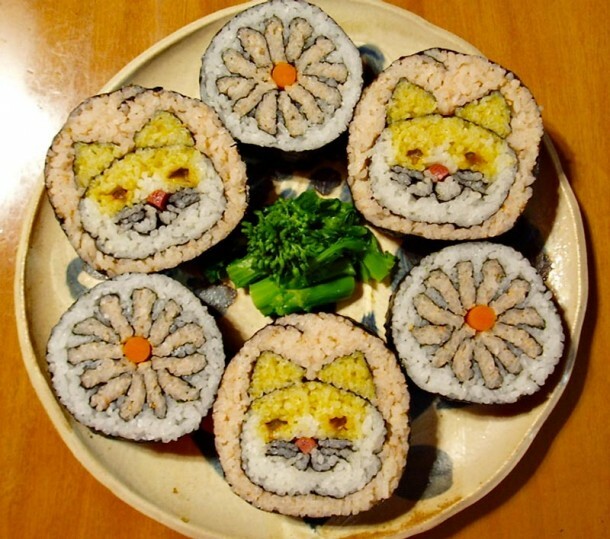 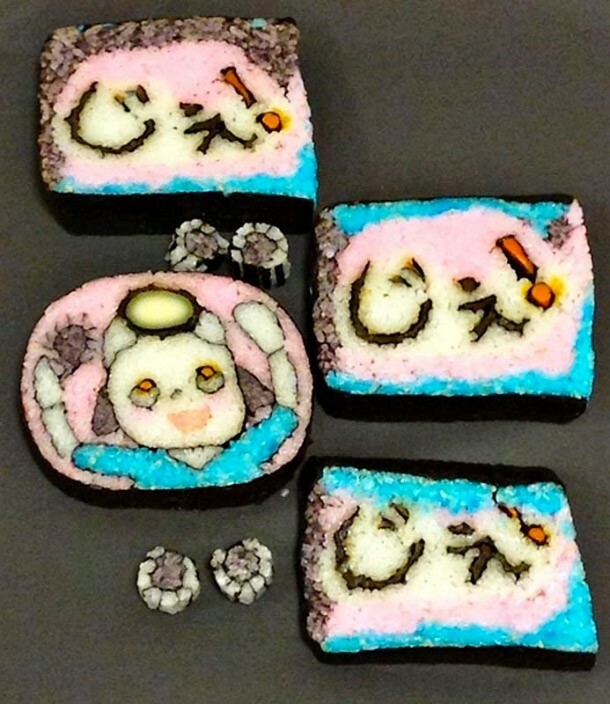 The chef from Tokyo Tama-chan creates works of art using rolls. 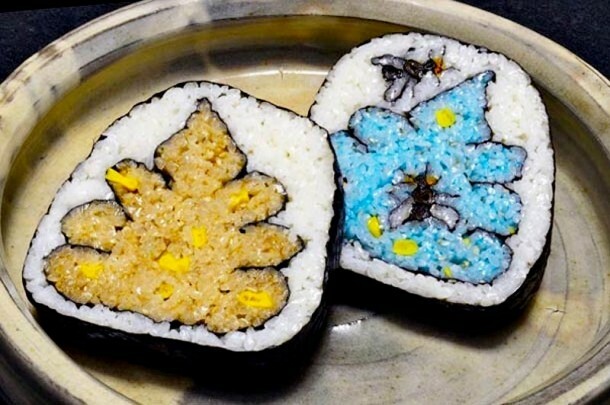 Due to the specific location of colored rice and other ingredients within the algae, He is able to create these paintings. 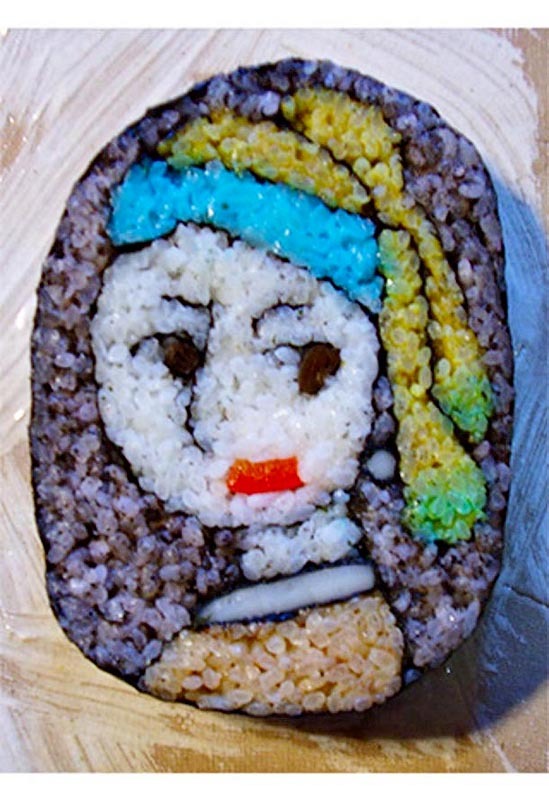 Tama-chan made the picture of Edvard Munch’s “The Scream” and portrayed the other interesting things using only a few ingredients.